 April Events And Ideas That Will Change Pisces Life! You’ve defined your dearest dream and feel ready to take action if you’re eager to achieve it. On April 4, you’ll be angry about some serious expenses that you didn’t anticipate. You may deal with it or refuse to pay and defer your dream in this way. Don’t worry – after April 15 your financial situation will change for the better. A New Moon in your 2nd House of Possessions will give you a unique opportunity to earn money creating something innovative and exciting. Mercury will finally turn direct and all the unclear financial issues will be resolved successfully. Besides, your relationships with your relatives will become much warmer. What Is Your Secret Zodiac Group?